Is the month over yet? No it’s only day six and Madge is still plugging along on her goal to write a blog post every day during National Blog Posting Month (NaBloPoMo). Check out the official site on BlogHer, then come back daily to see how Madge is doing. Yesterday in this space, Madge lamented the demise of the late, great department store and also took a tour of the wonderful online site Department Store Museum. While we will never return to those golden days of retail, Madge recently visited something completely new in retail and is happy to report that retail is not dead yet. 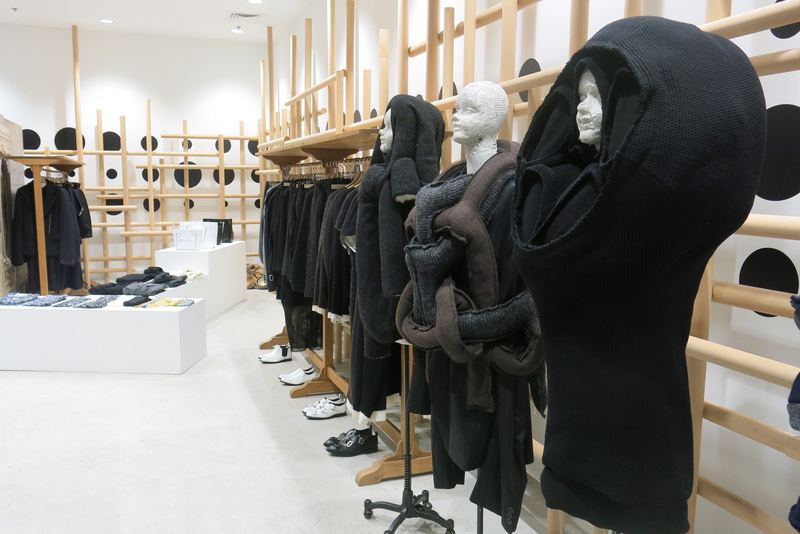 While on a trip to New York City, Madge visited Dover Street Market, the newest outlet of a retail concept created by Rei Kawakubo, designer of Comme des Garçons. Other locations include Tokyo and London. Kawakubo, who has been designing the Comme des Garçons label since 1969, is known for her avant-garde fashions that often remind one of origami. At Dover Street she has completely torn up the rulebook for retail store design. 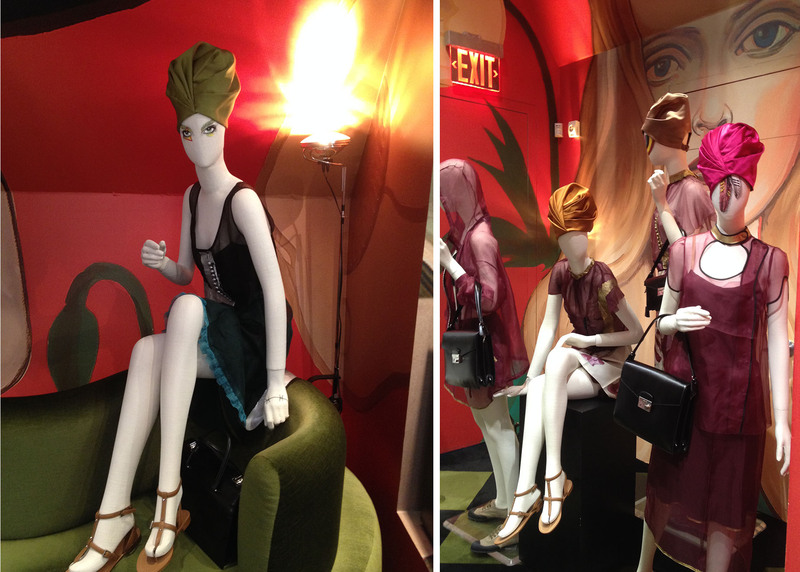 Located in an old bank building at Lexington and 31st, the store is part retail, part art installation. It’s apparent right when you walk in that this is a completely different experience. 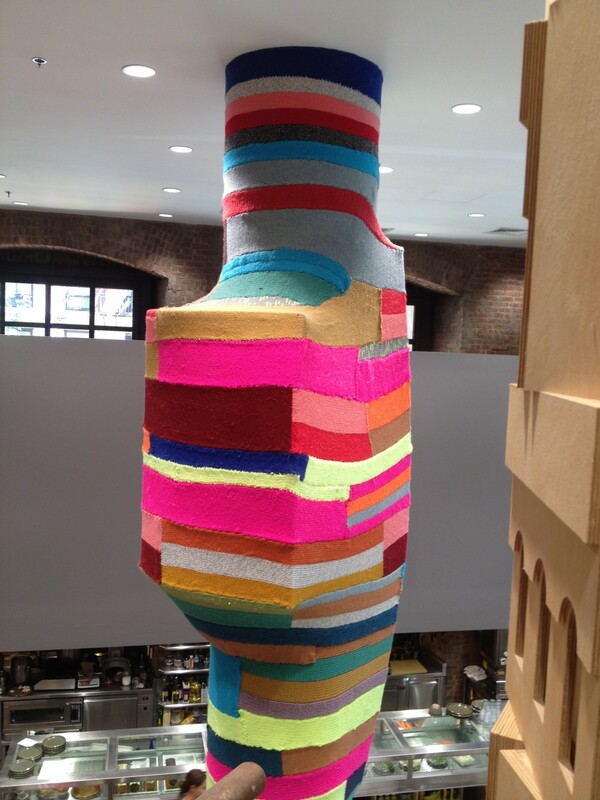 Your eye is immediately drawn to an enormous column completely covered in multi-colored yarn created by the artist Magda Sayeg, who is known for her “yarn bombing” of ordinary objects. On her website you will see ductwork, statues and even a city bus covered in yarn. A central glass elevator allows a 360° view of each floor. Madge rode all the way to the top to take it all in then walked back down to the ground floor. 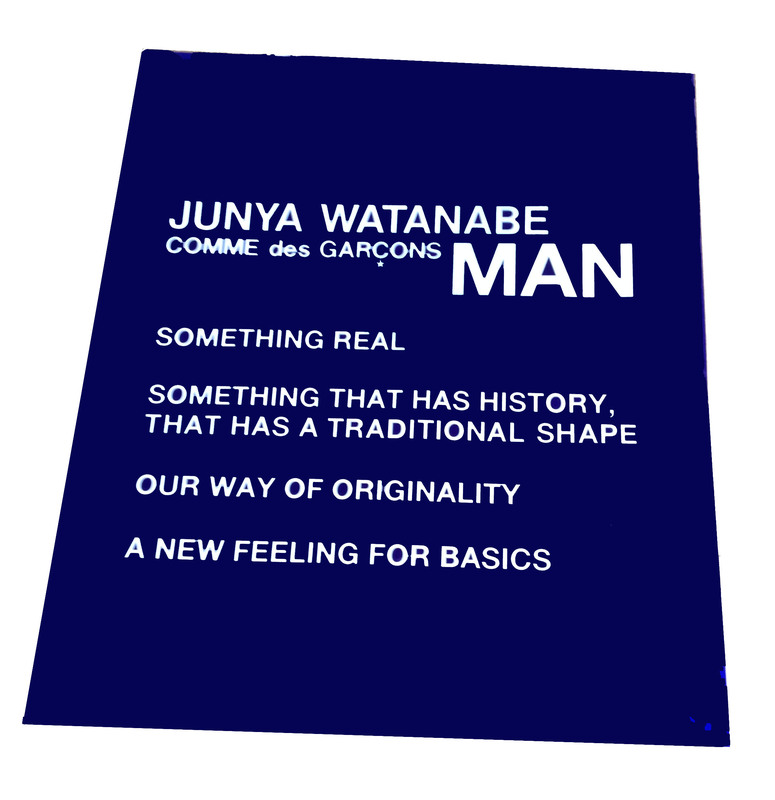 In addition to Kawakubo’s own designs, there are premium offerings from major names such as Prada, Giambattista Valli and Jill Sander plus her long time protégé Junya Watanabe. 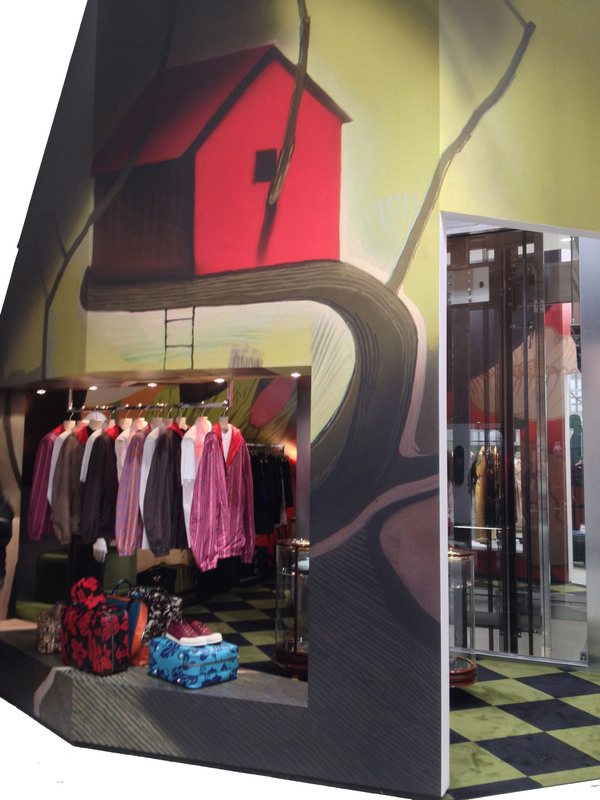 A large amount of space is also devoted to new, emerging brands such as Sofie D’Hoore, Craig Green and Sibling. 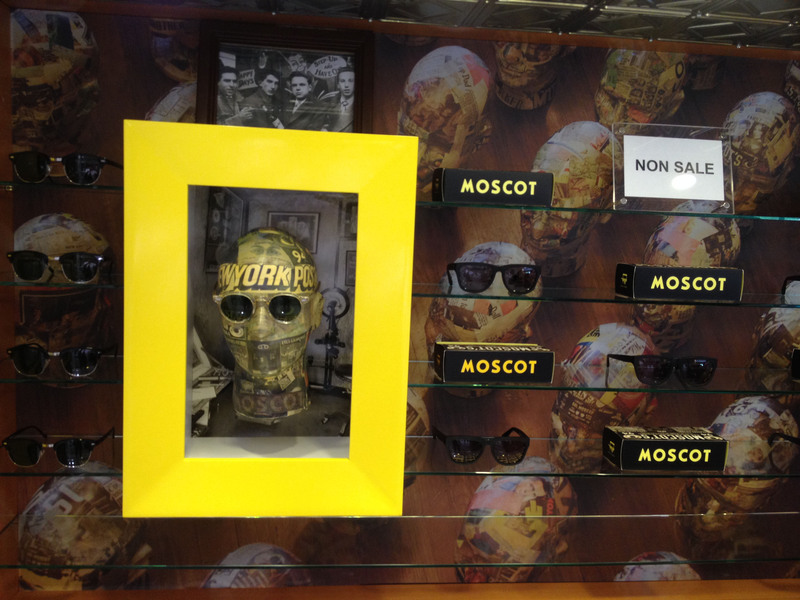 But it’s not the merchandise that makes Dover Street Market so special; it’s how that merchandise is displayed. Instead of cramming in as much stuff as possible, items are arranged in unconventional, angled displays with enough spacing that you can really take in the clothes and accessories. 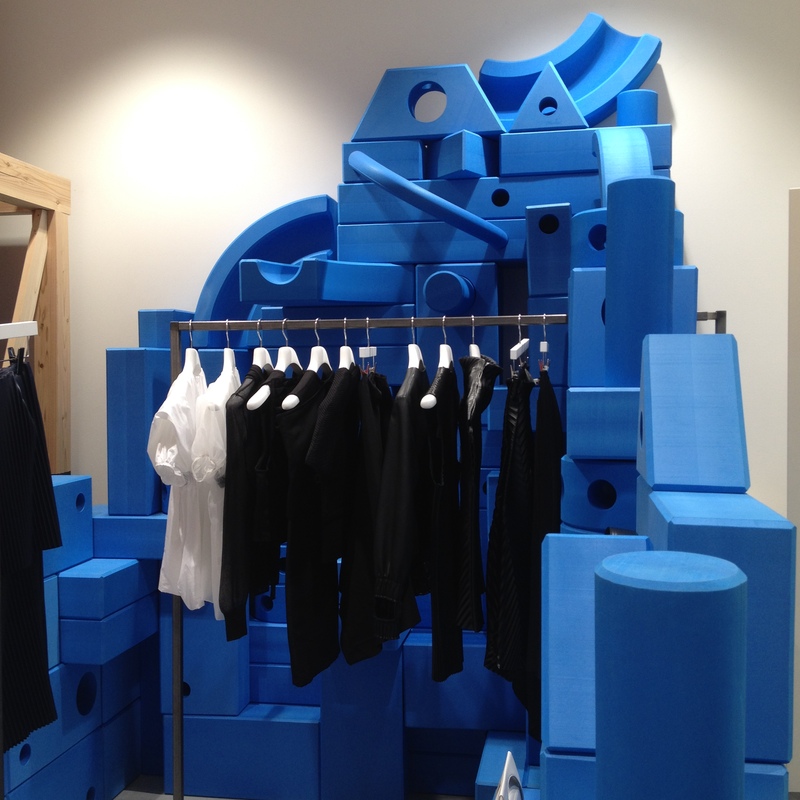 Since Kawakubo is an artist as well as fashion designer you see the care that went into every aspect of the plan for this store. From the placement of that elevator to the cheerful and helpful staff, you feel an energy and vitality that is rare in retail today. There is even a nod to the tearoom of old with an outpost of the famous Parisian restaurant, the Rose Bakery. Of course this store is in the upper-most atmosphere of designer pricing, but let’s hope that other merchants can develop their own concepts that recapture the fun of shopping rather than emphasizing the drudgery. These photos were taking by Madge last August. I imagine the store has completely changed by now. Of course Madge didn’t get out of there without buying a new pair of shoes.